Public broadcasters and their advocates aren’t waiting for President Trump’s initial budget, expected to be released later this month, to mobilize support for CPB funding. The election of Trump and Republicans’ control of both houses of Congress has triggered concerns over the security of the corporation’s annual $445 million outlay, a favorite target of conservative budget cutters. Stations in public television’s Major Market Group are strategizing about how to communicate with audiences and future-proof their budgets. Protect My Public Media, a grassroots advocacy initiative, launched a new outreach effort last month. A petition started by media-reform nonprofit Free Press garnered nearly 30,000 signatures within the first 10 days of the Trump administration. Concern over pubmedia funds was stoked in part by a Jan. 19 article in The Hill newspaper headlined “Trump team prepares dramatic cuts.” The anonymously sourced article predicted that the White House will follow a conservative budget template calling for “privatization” of CPB and defunding of the National Endowment for the Arts and the National Endowment for the Humanities, which both back public TV and radio work. Blumenauer said it’s important to remember “the long history of congressional support for public media” that “has been growing even more bipartisan in recent years.” Funding has weathered Republican attacks before: In 2005, the GOP-led House Appropriations Committee recommended cutting 25 percent from CPB’s $400 million outlay, leading to a weeklong public outcry. All but six of the House’s 202 Democrats voted down the proposal, with 87 of 140 Republicans joining. Yet the uncertainty over funding remains “at the very top of the minds” of station executives in the Major Market Group, according to Executive Director Deanna Mackey. The MMG represents 38 PBS member stations in the largest U.S. television markets. At a recent board meeting, Mackey said, leaders “talked at length” about assisting each other with ideas for activating their members and aligning those messages with the national outreach strategies of America’s Public Television Stations. “People aren’t panicking, but they are preparing,” Mackey said. Stations are also doing scenario planning to help ensure that their budgets could weather a funding cut. “This provides an opportunity for stations to remind audiences that the work public broadcasting does is critical to a lot of people in this country,” Mackey said. Grassroots advocacy is also the focus of Protect My Public Media, the web-powered effort led by APTS and NPR that encourages supporters to lobby for continued federal funding. Its latest campaign, which runs Jan. 10 through Feb. 10, is titled “Resolve.” Fans can post videos or write testimonials explaining the value of public media in their lives and why they are resolved to keep it. So far nearly 900 supporters have contributed their thoughts. The campaign “is not only increasing that number of grassroots advocates, but is also gathering compelling video and audio testimonials about why people care so deeply about public media,” said Kate Riley, APTS spokesperson. Free Press is also building its network of advocates. Among the nearly 30,000 people who signed its online “Defend My Public Media” petition, more than half had not previously signed a Free Press petition, said President Craig Aaron. Nudge, nudge…wink, wink…NPR/PBS stations on air talent, will make repeat calls for action over the public airwaves to lobby congress to fund them. They will use all means to try and influence legislation. The debate on funding “public broadcasting” will be one sided and request for equal time to rebut the stations propaganda will be ignored. 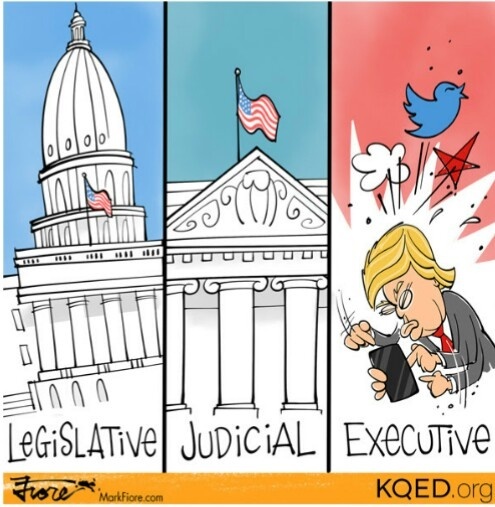 In some states, public broadcasting outlets are owned and/or funded by states (whether it be state public broadcasting authorities, state universities, or state boards of education). Advocates to preserve funding for noncommercial broadcasting will also need to work on the state level in those areas where much funding for public media comes from state funding to preserve such funding. 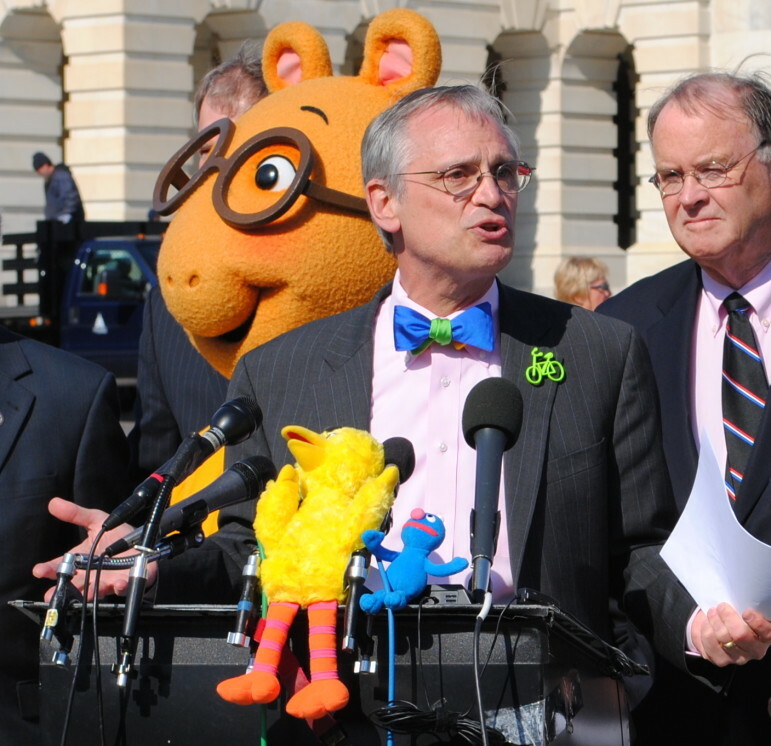 On the photo, I’ve seen Herr Blumenauer with WGBH’s Arthur — the best of PBS. We want more public television programs in countries like Chile. Uncut and with NO-AD’s. https://uploads.disquscdn.com/images/97b090a59c7dd39423fcc11234f36abe8d3d1ec222c05bcb37a1fb45fd52b06b.jpg Screen capture courtesy of Mark Fire for KQED San Francisco.